Few events impact more customers more acutely than digital conversions and system upgrades. Unfortunately, banks and credit unions are so focused on “getting it right” from a technology perspective that the customer experience often doesn’t get the critical attention it deserves. You must ensure your audience is ready for- and feels good about the change. It is time financial institutions embrace every digital interaction as a moment of opportunity to engage and delight customers. The rewards? A seamless and superior experience for your institution, your employees, your customers, and more — increased customer retention, more business referrals and improved buying propensity. 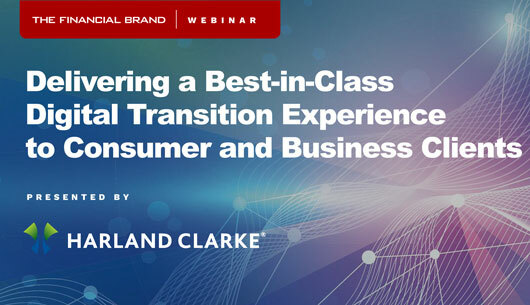 To watch this free on-demand webinar, presented by Harland Clarke, simply complete the contact form on the right.